In 2016, Beyond Pesticides teamed up with owner and founder of The Bees Waggle, Jessica Goldstrohm, to develop a widely available pollinator curriculum. The goal of the curriculum is to provide a fun, hands-on lesson about pollinators and their importance to our food system. Throughout the lesson, students learn about biodiversity, soil health, and the negative effects of pesticides on pollinators while participating in a variety of activities designed to reiterate key points of the recurring themes. That curriculum is now available to teachers, free of charge, through our website. Follow the links below to download all of the necessary materials to recreate this exciting lesson in your own classroom. The curriculum starts with a LESSON PLAN, designed to give teachers background information on the topic of pollinators and biodiversity, and the crucial role they play in our food system. Next, download the POWERPOINT presentation, which coordinates with the lesson plan and can be used as a visual tool for students and teachers alike. Feel free to add or delete slides depending on your scholars’ grade, age, and ability level to make a presentation that is exciting and accessible to all learners. Download and print the activities, which include the POLLINATOR POSTER, biodiversity web , POLLINATOR PUZZLE, and instructions for making BEE HOUSES, designed by Ms. Goldstrohm, for the students to build and take home, spreading pollinator habitat to their own backyard. We also ask that you download and distribute this STUDENT ACTIVITY SHEET as a take-home activity, along with the PARENT INFORMATION SHEET that lets parents about the lesson their child participated in and how they can get involved as a family to help protect pollinators. We also have resources on BACKYARD BEEKEEPING and building your own NATIVE BEE HOUSE that can be added to your school yard or garden to create additional pollinator habitat. Educating local school children is just one of the many ways Beyond Pesticides works to protect pollinators. By teaching children about the importance of bees and other pollinators early in life, we hope to instill the idea that bees are to be seen as helpful organisms in our larger food system, as opposed to ‘scary’ insects. 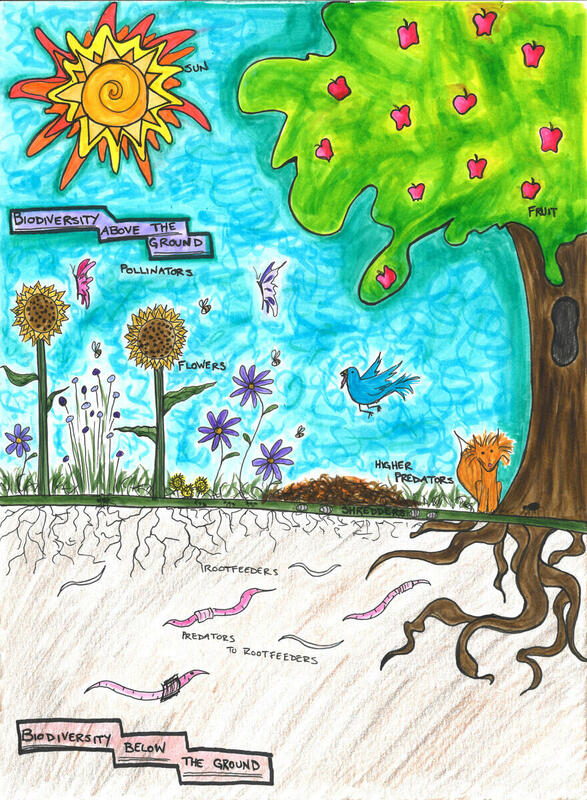 Beyond Pesticides believes this knowledge will remain with the children as they grow older, creating a new generation of adults who fully understand the importance of biodiversity and the negative impacts pesticides have on our ecosystem. Additional lessons related to pollinators are available through Ms. Goldstrohm on her website www.thebeeswaggle.com. In order to facilitate the adoption of this curriculum in school districts and classrooms that serve low-income communities, Beyond Pesticides is offering “Materials Grants” to enable teachers who wish to conduct the pollinator lesson, but may not have the resources for the supplies. To take advantage of this grant program, please fill out the online APPLICATION for more details. For any other information, please email us at [email protected] or give us a call at 202-543-5450.